The membership rules of the Super Awesome Hockey Bros club are finite, but just. 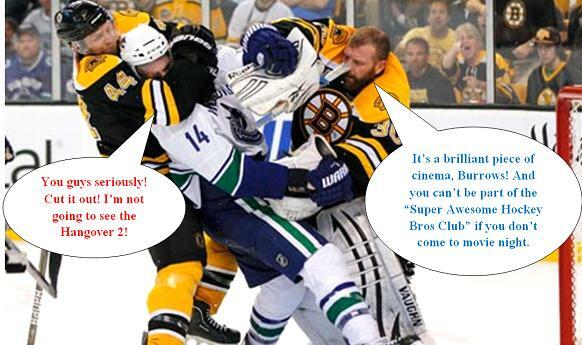 This entry was posted in Uncategorized and tagged bad sequels, Bruins, Canucks, fight, Hangover II, hockey, sports. Bookmark the permalink.